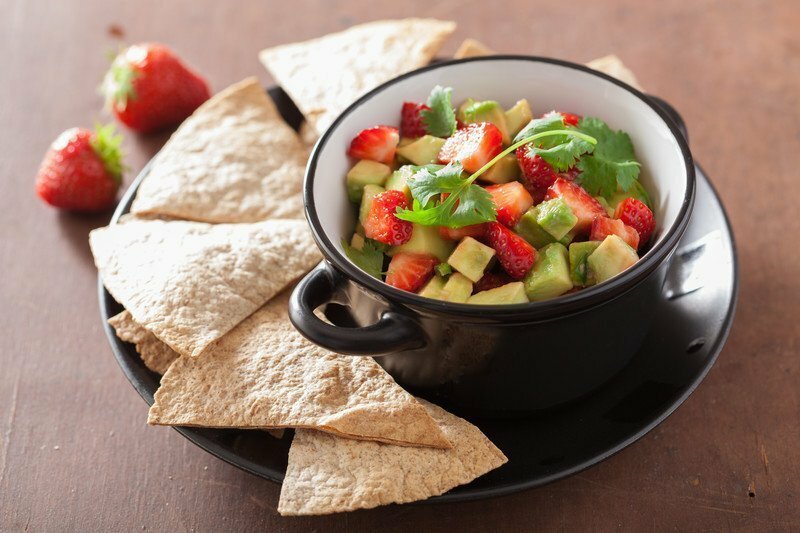 Serve this simple dietitian approved recipe with store bought taco chips or your own homemade baked tortilla chips (brush flour tortillas with oil and season with a pinch of salt, then cut into wedges with scissors and bake until crispy). This recipe is also amazing on grilled fish. Toss your favourite fish in olive oil, lime zest and salt & pepper and grill. Top with this fast and delicious salsa.